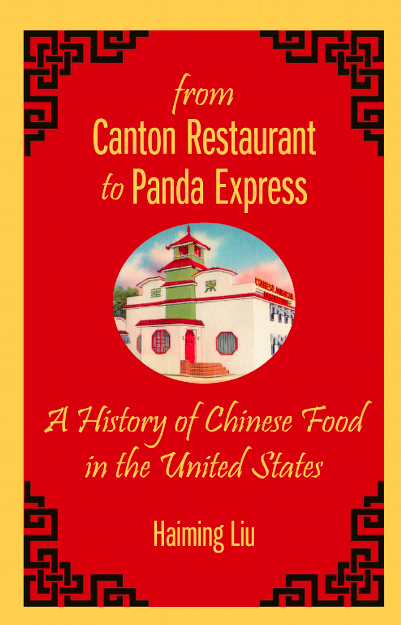 Haiming Liu's book From Canton Restaurant to Panda Express: A History of Chinese Food in the United States (published 2015) is unusual because it looks not only at the US, but at the Chinese cultural background and food ways of several waves of immigrants to the US. It thus goes deeper into Chinese-American history than two other books that I have enjoyed: The Fortune Cookie Chronicles: Adventures in the World of Chinese Food by Jennifer 8 Lee, and Chop Suey. A Cultural History of Chinese Food in the United States by Andrew Coe. 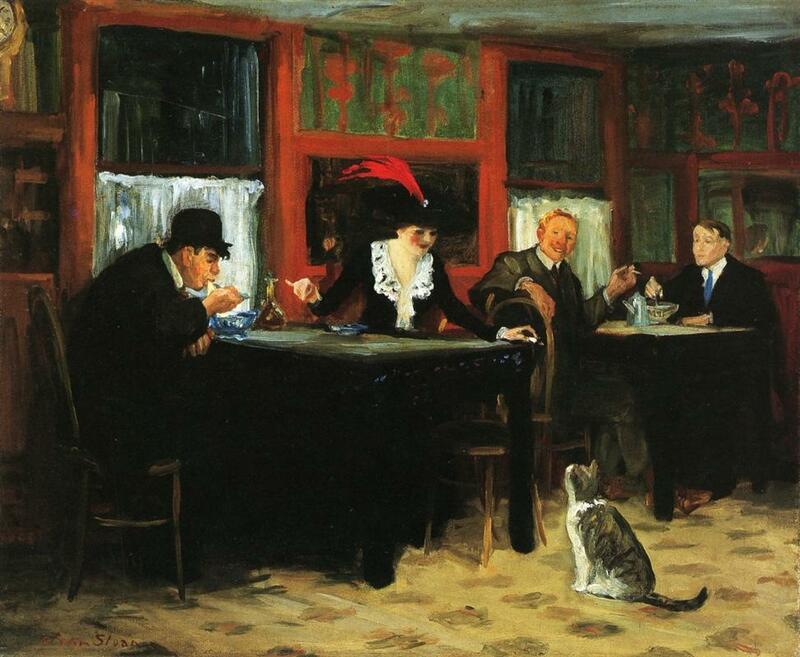 to illustrate the development of Chinese restaurants in the early 1900s. By using both English-language and Chinese-language sources, the author provides a fascinating history of Chinese food and its global history -- beginning with a Chinese restaurant tradition dating back to the Song Dynasty which lasted from 960 to 1279. This provides a much more nuanced appreciation of social and economic history of American Chinese communities, as well as of the restaurants they have founded and the various inventions of food to please both themselves and their American customers. The descriptive information about Chinese restaurants in the US from the 19th to the 21st century is fascinating, though I will not try to reproduce it here. A very important theme of Liu's book is the major racial prejudice and discrimination that Chinese immigrants faced during the 19th century. He explains the ways that they dealt with it and the ways that it affected their choices of how to make a living. Chinese restaurants run by immigrants first appeared in California during the 1840s gold rush, when numerous Chinese businessmen and ambitious workers came -- "they were a different kind of pioneer in California. They were interested in making money through trade rather than digging gold. (p. 10). another art work discussed in From Canton Restaurant to Panda Express. Although Chinese immigrants were hard-working model citizens by any reasonable standards, racism and legal limits on what they were allowed to do meant that a majority of the immigrants worked either in restaurants or laundries. Prejudice was so strong that the U.S. Congress voted in 1882 to ban all Chinese immigration -- The Chinese Exclusion Act, which was not rescinded until 1965. Despite prejudice and exclusion, many of the original Chinese immigrants remained in the US, most notably in the China Towns of New York City and San Francisco. 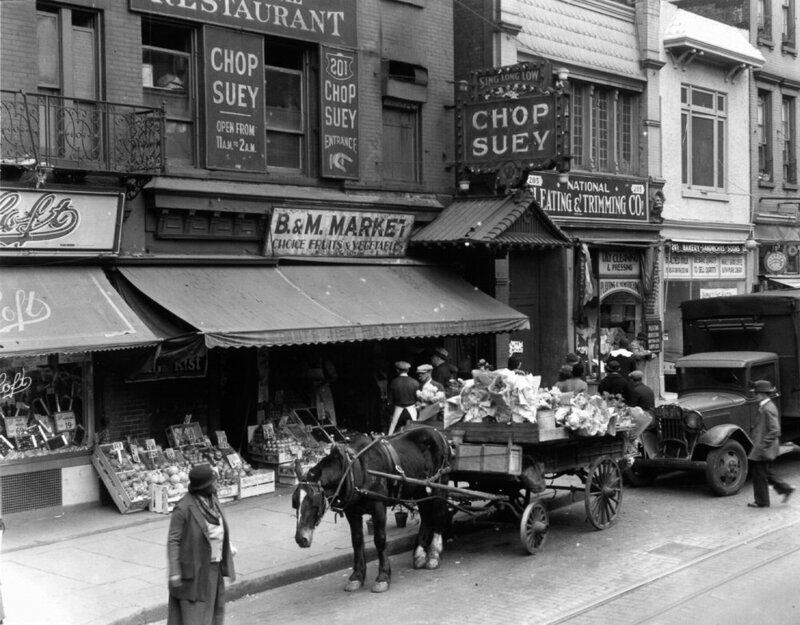 In the late 19th century, Chinese restaurateurs introduced Chinese-style food, notably chop suey, to Americans. It became more and more popular for at least a century. Liu refers to the introduction of this dish as "creative assimilation" as it was exotic, very popular, but not really a Chinese dish. By World War II, "Chop suey was also used as a food for American soldiers. Joining spaghetti and tamales as 'ethnic' dishes listed in the 1942 edition of the U.S. Army cookbook, chop suey and chow mein were staples of the military mess hall. The biggest fan of chop suey in the army was Dwight D. Eisenhower." (p. 63). Several chapters of From Canton Restaurant to Panda Express deal with special topics which are very interesting, such as the chapters titled "Chop Suey and Racial America: The Origin of Chop Suey" (p. 49) and "Kung Pao Kosher: American Jews and Chinese Food An Unlikely Ethnic Romance" (p. 71). Liu really packs a lot of information into a relatively short book! "The Immigration and Nationality Act of 1965 was another turning point in Chinese migration to the United States. When the law was passed, the annual immigration quota for the Chinese jumped from 105 to 20,000." (p. 90). This new wave of immigrants created another major change for both the Chinese culture in the US and for the introduction of an entirely new American attitude towards Chinese food, thanks to the vastly broader range of cuisine brought by these immigrants. Late 20th century Chinese immigrants, who at first were primarily from Taiwan, represented a vast range of Chinese ethnicities and regional cuisines because the population of Taiwan actually had come from all over China as the Nationalists fled from the victorious Communists in the 1950s. One restaurant dish that epitomizes the way Chinese food has moved from Mainland China to Taiwan to the US is General Tso's Chicken, which was invented in Taiwan by a Hunan-native cook who adapted it once for Taiwan and again when he brought it to New York. Liu writes: "This contradictory character of General Tso’s chicken or other Hunan dishes made in Taiwan helps us understand the nature of Diaspora Chineseness. Chinese food does not exist in a social vacuum. Authenticity in food culture is often a flexible concept." (p. 101). "Contemporary Chinese immigrants and their families are a new generation of Asian Americans. Congregated Chinese restaurants, grocery stores, and other retail and service businesses in the San Gabriel Valley, in Southern California, or in Flushing and Queens, in New York, are visible examples of their transnational lifestyle, which does not prevent them from making America their home. Across the country, thriving Chinese restaurant businesses have considerably enriched American food culture. The rapid growth of P. F. Chang’s as a full-service Chinese restaurant and Panda Express as a fast-food Chinese restaurant reflects Americans’ constantly changing and often multiethnically blended eating habits. Chinese food is an indispensable part of the American restaurant market today." (p. 158). No I’m not at the Olympics. I was in Seoul in earl fall. This is interesting. I read a book once about Chinese restaurants in the US. It was quite fascinating. What did Mona Lisa Eat?